In order to maintain sharp skills and to remain on the cutting edge of the continual advancements in periodontal therapy, it’s important that a periodontist take an active role with colleagues and professional associations. This year, Dr. Gottesman has been selected to serve as program chair for the NESP (Northeastern Society of Periodontists). Primarily, the goal of the Northeastern Society of Periodontists has been focused on providing an educational and mentor-based forum for professional members as well as recent graduates. NESP leaders constantly strive to empower the next generation of periodontists because the strength of the association is dependent upon a commitment to mentorship. For more than 30 years, the organization has accomplished these goals by offering outstanding educational programs for all of the society’s members. Dr. Edward Gottesman will continue this tradition as he prepares to present the 2013 spring scientific program, “The Art and Science of Periodontology” on April 19, 2013. 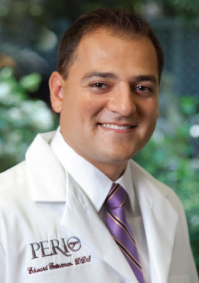 As program chair, Dr. Gottesman has assembled a number of spectacular programs related to topics such as soft tissue aesthetics, ridge preservation and regeneration and periodontal medicine. The program will be presented at the Marriot Marquis in New York City on April 19 and November 1, 2013. The primary purpose of NESP is to “Promote scientific research in, to disseminate information regarding, and to provide a forum for education regarding the art and science of Periodontics.” In accordance with that mission, Dr. Gottesman’s upcoming program will provide both long and short-term benefits to conference attendees as well as the periodontal community at large. The Northeastern Society of Periodontists is a prestigious regional organization which serves periodontists in the states of Maine, Massachusetts, Vermont, Rhode Island, New Hampshire, Connecticut, New York, New Jersey, Pennsylvania, Marylandand Delaware. The organization is proud to celebrate its 30th year, and members are enthusiastic about their contributions to the science of periodontology. To learn more about Dr. Gottesman’s involvement with this organization, visit http://www.nesp.org/ or contact our office at 212-756-8890. Dr. Gottesman Chairs NESP Spring Program in New York. This entry was posted in All, Blogs, Periodontist, Volunteer. Bookmark the permalink.